Ryan Reynolds is one of Canada’s most versatile actors. Reynolds has donned different characters in his movies and he has well adapted to all of the characters. Where several actors show concerns while accepting negative roles, Reynolds has gracefully accepted the diverse roles. Reynolds has shown to the world the wide spectrum of his skills and he is duly acclaimed and recognized by the world for his talents. 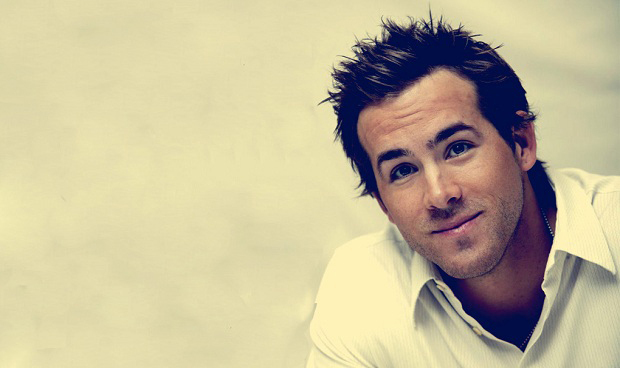 Reynolds was born on October 23, 1976, in Vancouver, British Columbia. Being the youngest son, Reynolds was a shy and sensitive kid. Reynolds sensitivity helped him in showcasing his talent in the school productions. Thus, at the tender age of 12, Reynolds got his first acting job in a teen drama Hillside, which was later named Fifteen. Reynolds worked on the show from 1991 to 1993. Ryan Reynolds had a bumpy ride in his career after appearing on Fifteen. He couldn’t grabbed substantial roles until 1998 when he was cast for a role of a medical student in the TV show Two Guys and A Girl. After gaining success on television, Reynolds’ confidence was boosted and he decided to enter the film industry. Reynolds appeared in the films like, Waiting, Just Friends; Definitely, Maybe, Blade: Trinity, The Amityville Horror. Although the films couldn’t proved to be a big success however, Reynolds was recognized and appreciated for his work. He gained colossal popularity among the audiences. In the year 2001, Reynolds career took a huge leap when he landed in the role of Deadpool in the hit film X- Men Origins: Wolverine. Reynolds worked alongside the likes of Hugh Jackman and confidently showcased his talent. After the success of X- Men, Reynolds career trekked on the road of success, fame, and popularity. Reynolds appeared in the rom-com movie The Proposal and yet again wowed the audience with his versatility. Reynolds also appeared in an independent drama film Buried in which he acted as an American hostage in Iraq. Meanwhile, Reynolds was making news while being in the relationship with Hollywood star Scarlett Johansson. The couple got together in 2008, the same year when Reynolds broke up with his former girlfriend, and got married. The marriage didn’t last long and couple got divorced in 2010. Reynolds film career, however, was not shadowed by bad luck and Reynolds continued performing spectacularly in the films offered to him. Reynolds appeared as a super hero in The Green Lantern, a movie based on DC comic book of the same name. His acting was highly praised by the critics. Reynolds starred in the comedy movie The Change Up and reminded the world that he has the flexibility to adapt diversified roles. Reynolds also lent his voice in the animated films, The Croods and Turbo. Reynolds was Guy’s voices in the film The Croods and Turbo’s voice in the movie Turbo. Reynolds has various project lined up for the years to come. His independent movie Deadpool, originally a spinoff of X-Men, is expected to be released in the year 2016. On note to his personal life, Ryan Reynolds is happily married to his Green Lantern’s co-star, Blake Lively, with whom Reynolds got married in 2012. Reynolds and Lively welcomed their first child, a daughter, in the year 2014.